Dambulla: Runs for England’s captain and wickets for Chris Woakes sees England claim victory in rain-shortened match. After rain saw just the first ODI between Sri Lanka and England abandoned after just 15 overs there was just enough cricket for a result in the second match of the series with England taking a 1-0 series lead with a 31-run victory via the Duckworth-Lewis-Stern (DLS) method. England got a rush on to get to the 20 overs needed for a result, bowling 10 overs in 31 minutes at one point, but it wasn’t until 29 overs of the Sri Lankan innings when the rain arrived and cut the game short, an ICC report said. Over recent years this England team have struggled to set a competitive total when wickets have fallen in clusters but here they recovered from the loss of five wickets for 59 runs in the middle to latter part of their innings to post a very competitive 278/9. The mainstay of the England innings was their captain, Eoin Morgan. The England skipper had been saying he would drop himself if it benefited the team, but as he made his way to a very well put together 92 from 91 balls there was little evidence that his side would benefit from his absence. He looked well on course for a 12th ODI hundred before he was the second of those five wickets that fell in quick succession. The man that claimed the wicket of Morgan was Lasith Malinga, who was the pick of the Sri Lankan bowlers, taking 5/44 to become the oldest seamer to take an ODI five-wicket haul since Wasim Akram in 2003. Bowling yorkers that swung and dipped late, he was a constant wicket-taking threat. The ball that got Morgan was a slower yorker that was chipped back to the bowler. 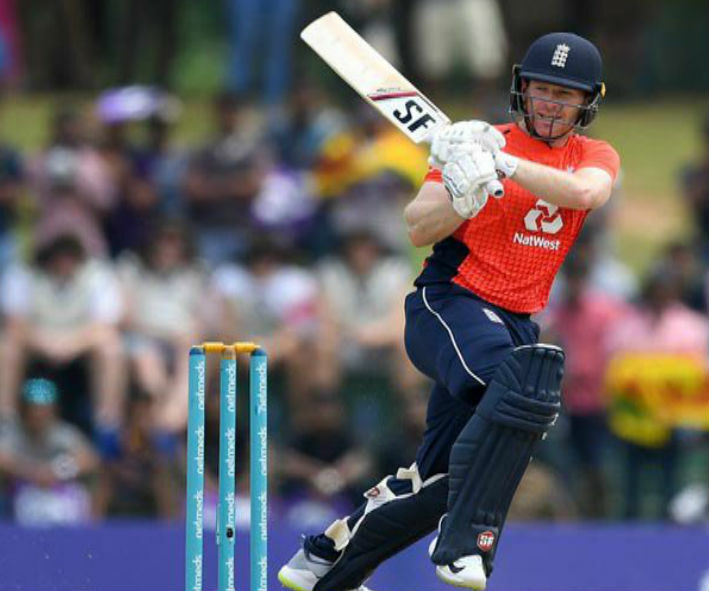 Morgan was well supported by Joe Root who glided his way to 71 (83) and looked to be heading to a century himself before he gave a catch off a leading edge off the bowling of Dhananjaya de Silva. The next highest score in the England innings was just 28 but there were contributions all the way down the order to help England to a total that would need some chasing. Sri Lanka have struggled to set a strong platform with big top-order partnerships in recent times and the same issue was on show in this match. Some big shots from Niroshan Dickwella in the opening over showed some intent from the hosts but Chris Woakes had his fellow opener, Upul Tharanga, caught behind for a golden duck to the sixth ball of the innings. Dickwella also departed early on, with Olly Stone claiming his first international wicket with a vicious bouncer that was gloved through to the keeper. When Woakes got some extra bounce as well, Dinesh Chandimal chopped on to his stumps to leave Sri Lanka 20/3. That soon became 31/4 when Woakes got another one inside the opening PowerPlay, Dasun Shanaka edging one that moved away from him to Jos Buttler. There was a recovery of sorts that took Sri Lanka to 74/5 thanks to a partnership between Kusal Perera (30) and De Silva (36*) before Kusal pulled Liam Dawson to Jason Roy at mid-wicket. The rain clouds were starting to gather and England were rushing to get to 20 overs to ensure a result with Sri Lanka were a long way behind the DLS target.